It is great news for all. In a recent study report, the research firm BIS Shrapnet has predicted a hike in the job opportunities in the mining sector in Australia. This will more in iron ore and liquefied natural gas sectors. In their detailed study report they claim that the export of both these commodities will increase in the coming years and the GDP share of these sectors will increase from 18.7% to 19.8 %. 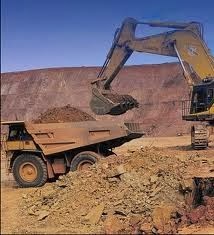 They have earlier predicted a hike in the investments in mining sector and 2012 and 2013 witnessed that boom. According to their report this will reduce to by 20% in the coming 5 years. At the same time the mining production will increase by 41% which will increase the related activities such as maintenance and exports. These are the areas where there is a large work force is required in all levels and a large number of people with different educational qualifications will get opportunities in this boom. According to many experts, this boom in the mining sector, which is predicted for another five years will certainly influence the economical growth of Australia. Increased production and exports will certainly pump in lot of money and other sectors such as construction, manufacturing etc will start booming using this money. Hence, there will not be a problem if a slow down happens in the mining sector after these five years. However, the miners are not seeing any luck in this boom as they will be squeezed by the low commodity prices and high Australian dollar rates. Still they can make enough profit as the production increases.